Called a â€œHoneybellâ€ for its bell-like shape, this orange is bursting with juice. 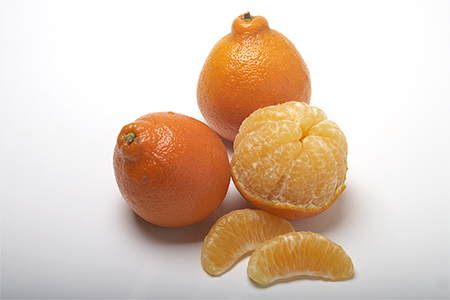 The combination of a tender tangerine and a sweet grapefruit is one of our most sought-after varieties. 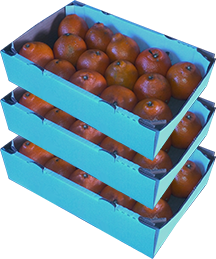 The Honeybell is only available in January, so order early or you might miss out on this delicious fruit. *Note: Holiday gifts of Honeybells are acknowledged with a gift card in December and shipped in early January when tree ripened.